This incredibly stylish outdoor living space was a result of a solid vision from the thrilled homeowners, coupled with a narrow and squeezed backyard that fueled several creative ideas. After negotiating through a few designs, we expanded the deck steps to become multiple 36-inch-deep landings. It made for much friendlier transitions and is considerably more dramatic, especially with the recessed-tape lighting under the handrail and mini-sconces on the posts. 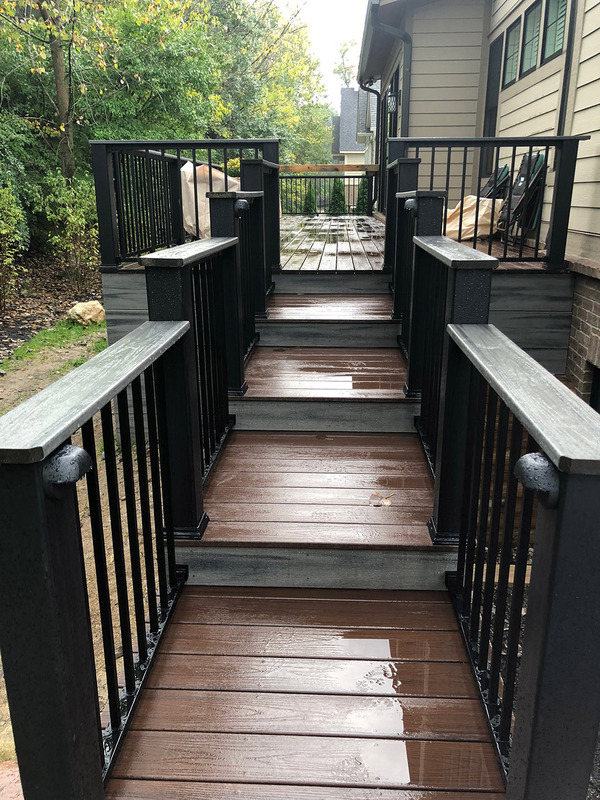 After imagining several deck materials, we selected Trex Lava Rock as the flooring and contrasting Island Mist as the step risers and fascia of the elevated deck. Black aluminum spindles seem to disappear and allows for an inspirational view of the leafy wooded area behind the property that is packed with flowering native trees. 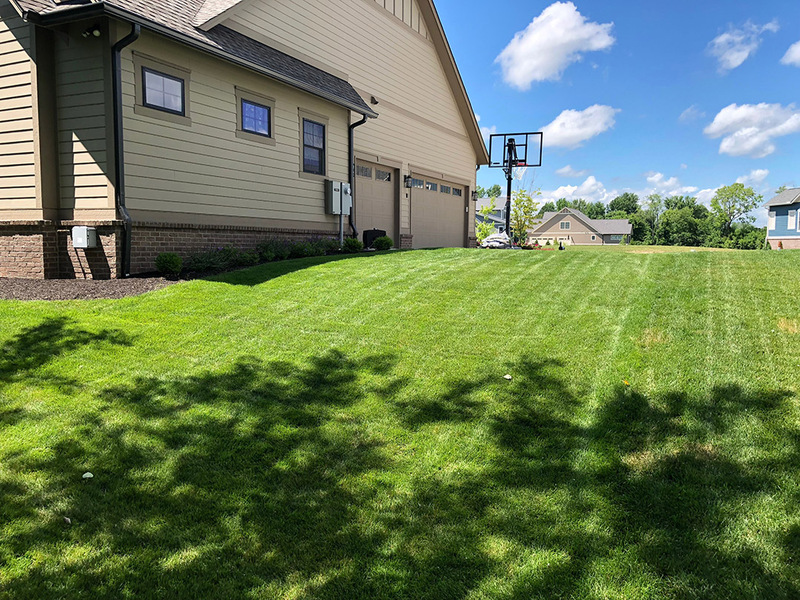 We added to nature’s beauty with many of our thriving and low-maintenance favorites: multi-stem sweet bay magnolia and serviceberry trees, oak leaf hydrangea, ninebark and fothergilla flowering shrubs and a textural variety of colorful groundcovers and perennials. Just outside the backdoor is a built-in, space-saving bar counter hovering above the spindles and handrail. It is ideal for abbreviated spaces and perfect for bright bar stools to add even more style. Style — a primary component of luxury outdoor living!